You would like to join in? Great! In the following you will find a list of all voluntary jobs we are currently offering. We are looking for volunteers from all over Germany who are interested to get involved in our projects. People with good organizational skills who are familiar with conference design, event management (e.g. finding suitable venues), public relations and presentations are welcome to join us anytime. We also always need editors for our website, newsletter, and social media platforms. Contributions for the website, the newsletter, press releases, and the Facebook site; Design of communication media; Development of logos, etc. Compiling and maintaining of a press distribution list; Defining and communicating with different target groups from society, art, culture, economics, and politics. Development and realization of different fund raising measures to support the society. There will be many activities around the society’s house. The architect’s plans are ready and we will start with modifications, renovation, hammering and painting soon. Organization and realization of events, e.g. film presentations, readings, dance and theatre performances, meetings, etc., including all the tasks that go along with it. Please feel free to start your own working group. 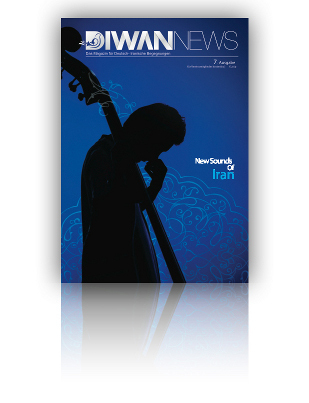 Just contact us at info@diwan.de.